1. 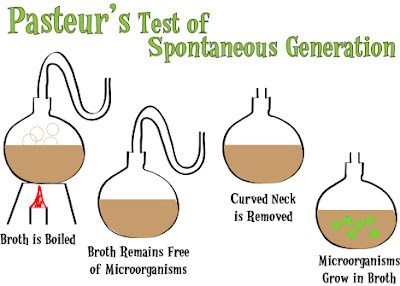 The theory of spontaneous generation (living organisms arising from non-living substances) has been scientifically disproven since the 1800s. 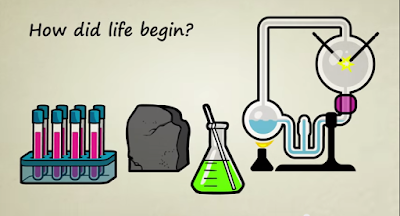 Louis Pasteur proved that life only comes from life—this is the law of biogenesis. 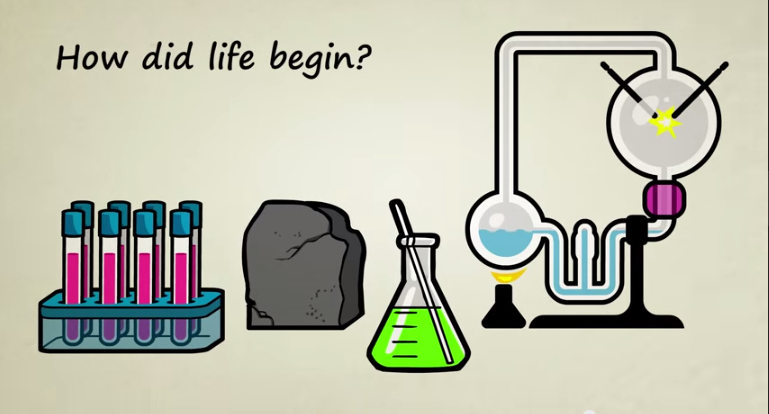 “Chemical Evolution” is just another way of saying “spontaneous generation”—life comes from non life. Evolution is therefore built on a fallacy science long ago proved to be impossible. 2. 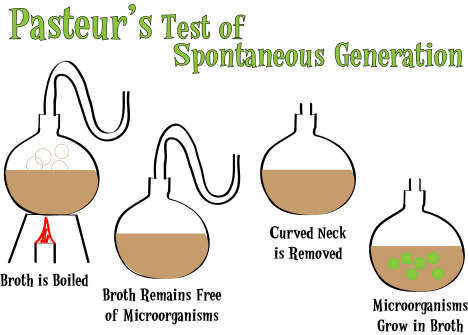 Not only has spontaneous generation been disproved, but everything evolving from nothing already contradicts five proven scientific laws - the Law of Cause and Effect, the Law of Conservation of Energy/Mass, the Law of Increasing Entropy, the Laws of Universal Information, and the Law of Biogenesis. Evolution is not science! 3. Evolutionists attempt to distance their theory from abiogenesis (origin of life), by completely ignoring it. This doesn't achieve anything, because the fact still remains that simple chemicals could not react to form the first cell! Therefore, they ignore it, since evolution wouldn't exist without abiogenesis. 4. If “evolution” was happening right now, there would be millions of creatures out there with partially developed features and organs. But instead there are none. 5. If the theory of evolution was true, we should have discovered eight billion bodies (at the very least) and numerous artifacts of stone age skeletons - considering they've been around for the supposed 185,000 years. 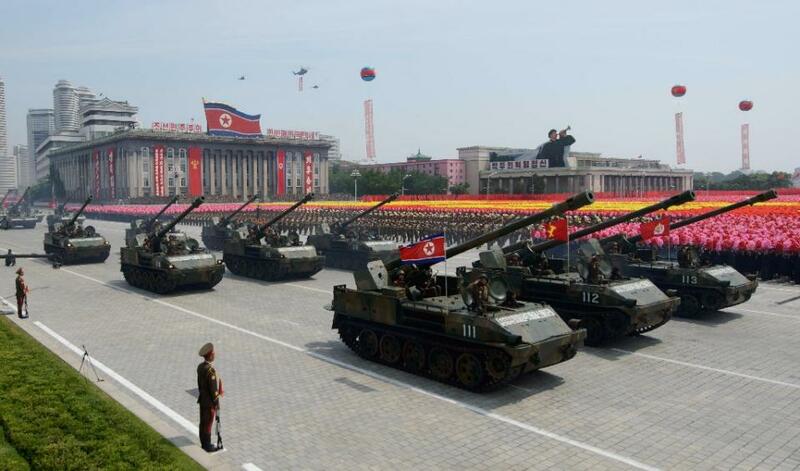 Instead, there are only a few thousand. 6. If the theory of evolution was true, the world’s population would be 1 in 10100! Instead, the world’s population is only around 7.6 billion. 7. Nobody has ever observed macro evolution take place in the laboratory or in nature. In other words, nobody has ever observed one kind of creature turn into another kind of creature. The entire theory of evolution is based on blind faith. 8. Back in Darwin’s day, scientists didn’t know what type or quantity of information was embedded within the cell. Cells appeared to be little unsophisticated globs of jello, mysterious little parts of life that no one could see into. Just simple cells. But now that we have the ability to peer into cells with electron microscopes, we see that life down at the cellular level is immeasurably more complex than Darwin ever dreamed. The odds of even a single sell “assembling itself” by chance are so low that they aren’t even worth talking about. (See: Fine-Tuning & Complexity of Life: Ultimate Proof) Evolutionists admit that the chances of evolutionary progress are extremely low. Yet, they believe that given enough time, the apparently impossible becomes possible. 9. If the theory of evolution was true, we should have discovered millions upon millions of transitional fossils that show the development of one species into another species. Instead, we have zero. 10. If the theory of evolution was true, we should not see a sudden explosion of fully formed complex life in the fossil record. Instead, that is precisely what we find. 11. If the theory of evolution was true, there would not be evolution frauds - because there would be evidence. Instead, evolution history is full of deliberate frauds. (See: Evolution Frauds: Top 10) The worst thing is, is that these frauds are still printed in some of today's school science text books with full knowledge that they are wrong! 12. The 2nd law of thermodynamics disproves evolution. The universe is slowing down to a lower state, not higher. Order will always move naturally towards disorder or chaos. Complex live organisms cannot rearrange themselves into an organism of a higher form as claimed by evolutionists. This is scientifically backwards to this law, which has never been proven wrong. 13. Their dating methods are useless, and inaccurate. They do not work on known ages, but are assumed to work on unknown ages. There are many examples of living animals dating back millions of years, volcanic eruptions from a few hundred years ago dating over hundreds of thousands of years... See here. If dating fails to get an accurate age on a known age, then how can it be trusted to give us the correct age for rocks that had no human observers to record when they formed? 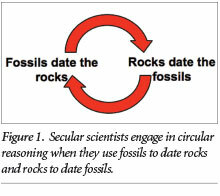 Without their dating methods, all that evolutionists use is circular reasoning - the rocks are dated by the fossils and the fossils are dated by the rocks! 14. If the theory of evolution was true, we should see many people who live in relatively unpolluted areas living to be 200 to 300 years old. Instead, the vast majority of us die between the ages of 40 and 80, no matter where we live or what we eat. 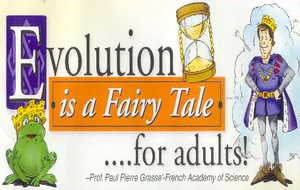 Evolution is nothing but a fairy tale. Why do evolutionists deny the obvious?